A relaxed and beautiful North Devon Town! The maritime heritage of Bideford is well documented and is referred to in Tennyson's poem "Revenge". Immortalised in Charles Kingsley's famous novel "Westward Ho!" as the 'little white town', it retains its ability to enchant all those that visit - and the community who live here. Generations of people have made their way here by both road and sea. Our location and people, heritage and character continue to captivate visitors and residents alike. 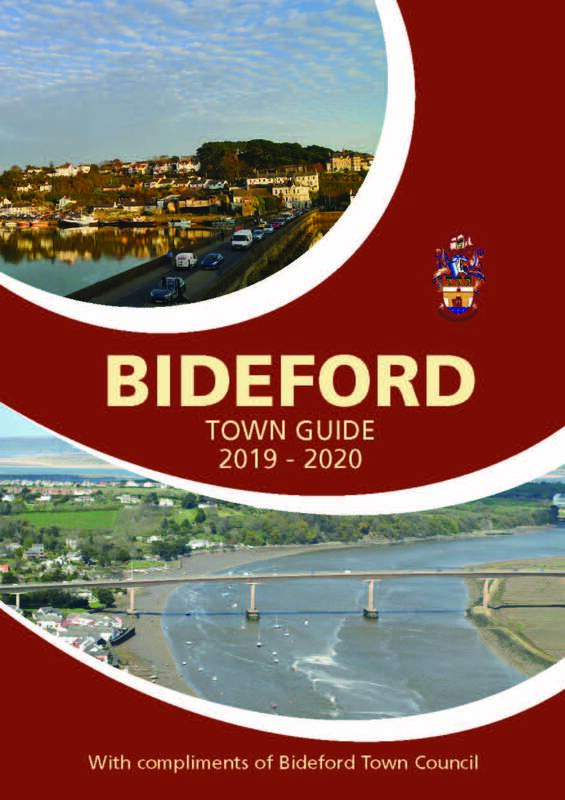 Our website is intended to provide a snapshot of Bideford today and deliver an insight into our history and provide information about our way of life - giving our townspeople and visitors an opportunity to explore the town and the surrounding area online. 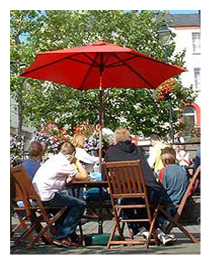 We hope you enjoy our site and your next visit to Bideford. Bideford is a small port town on the estuary of the River Torridge in North Devon in the south west of England. It is the main town of the Torridge local government district. The River Torridge is spanned at Bideford by the 13th century Long Bridge, which has 24 arches all of different widths! In the 16th century Bideford was Britain's third largest port. It was rumoured that Sir Walter Raleigh landed his first shipment of tobacco here, although this is a myth, as Raleigh was not, contrary to popular belief, the first to bring tobacco to England. Nevertheless - in honour of Raleigh's acheivements, several roads and a hill have been named after him in Bideford. Bideford has the great good fortune that the elements tend to smile on North Devon. You may have to contend with a bracing breeze, laced with the salt of the nearby sea, but by English standards, it is an enviable place to live and work and, of course, this is not lost upon the thousands of visitors who return each year to enjoy the charm and character of the town and district. 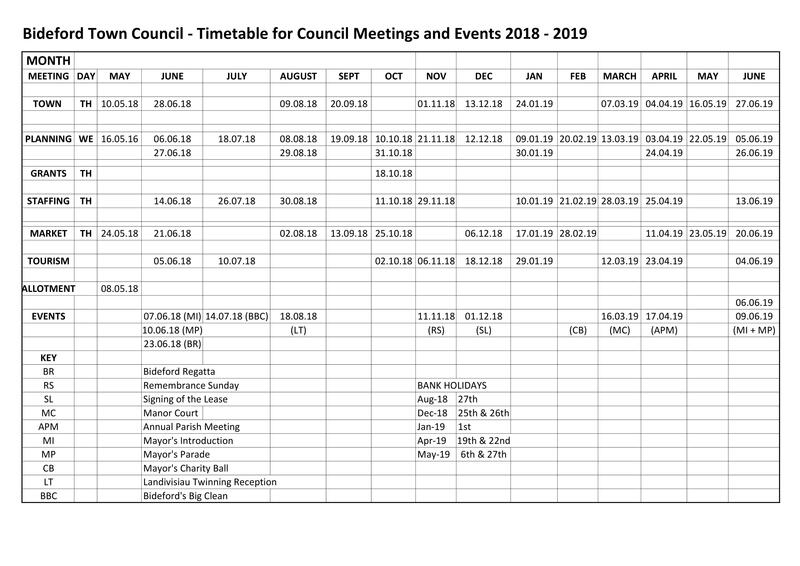 The tourism figures show Bideford is a particular favourite with families, indeed all age groups, and that is perhaps not surprising when you consider the season here lasts eight months of the year. Do not be misled by the town’s Victorian facade. It is a perky little town, steeped in history, but fully alive to the modern needs of today’s tourists. 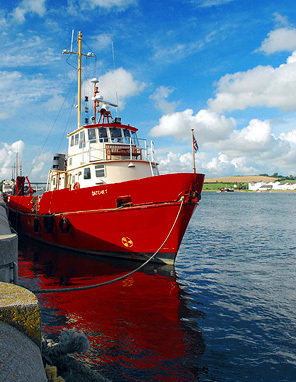 Bideford is a working port with substantial throughput of aggregates, raw materials and clay extracts, which are delivered by road for loading on to modern, purpose built container vessels. Alongside these container vessels there is a small but flourishing local fishing industry as well as the regular service of MS Oldenburg serving as a vital link to Lundy Island and providing pleasure cruises for tourists throughout the season. First mention in the history books of the Quay was in 1619 when there were beaches at the river’s edge. As the shipbuilding trade boomed, the Quay was developed and there are still marker stones in the pave ment as a testament to that reconstruction. 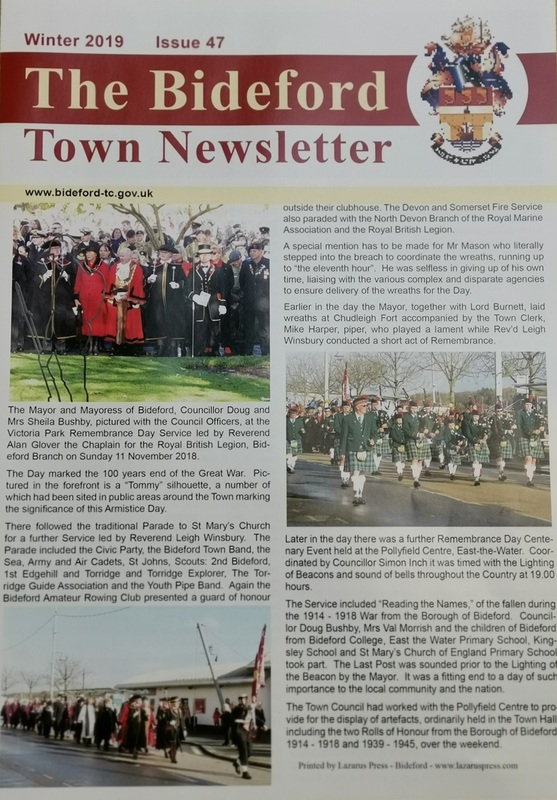 Our latest newsletter 'Winter 2019' edition is available at the Town Council Offices at Bridge Street and is delivered to households through local newspapers to our residents and voters. View our Town Guide at your leisure? You can download it as a set of documents to your local device.